Allergies are rarely life-threatening, but they can significantly impact your quality of life, your efficiency, and even your mood. 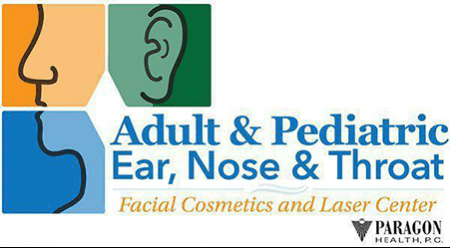 The team at Adult & Pediatric Ear, Nose & Throat in Kalamazoo, Michigan, offers allergy testing and treatment services for both children and adults. With the right approach, you can win the battle against allergies and breathe easily once again. Allergy symptoms can develop when your immune system reacts to a “trigger” or allergen substance that enters your body. When the allergen is detected, your immune system rapidly recognizes it as a foreign invader, which causes a histamine reaction. Less common symptoms could include skin irritations like eczema and even respiratory problems such as asthma. What’s Involved in Allergy Testing and Treatment? At Adult & Pediatric Ear, Nose & Throat, your provider can conduct specific tests that measure your allergic response to environmental triggers, like mold, pollen, pet dander, or chemicals in the home. Once you have an understanding of what is causing your allergies, you can treat them easily. Immunotherapy is one of the only scientifically proven methods to control allergies on a long-term basis. Immunotherapy is ideal for those who cannot avoid allergens, have problems managing their allergies, or do not like the side effects from regular allergy medicines. Allergy Shots: Allergy shots are a once-a-week injection given in the office. You may take them to a physician's office closer to home if needed. They have been proven to be very effective, and doctors in the United States have used them for many years. Sublingual Therapy: This is a convenient way of administering immunotherapy. You place drops under your tongue twice a week at home to reduce or prevent allergy symptoms. It has been the treatment of choice in Europe for many years. Patients report outstanding results with immunotherapy allergy treatment. Maintaining your results also includes minimizing your exposure to allergens and staying healthy. Allergens that are present year-round include house dust, pet dander, and chemicals. Your symptoms might be worse in the winter when the house is closed up, and there is poor ventilation. Changing the air filters in the heating and air conditioning systems regularly will help reduce household allergens. To request more information about the allergy testing and treatment services at Adult & Pediatric Ear, Nose & Throat, book an appointment online today.